The 21st century can be called the magical era where unimaginable technological breakthroughs have greatly revolutionized our lives. Prominent examples include advancement in information technology, telecommunications as well as energy and electronic technologies. 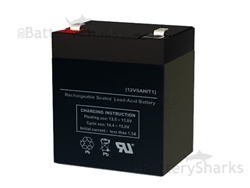 The invention of modern high tech gadgets has also been the hallmark of this century that has necessitated the need to develop high powered portable batteries. In order to cater to that need, scientists are coming up with innovative battery technologies that are safer for the environment and provide portable power for long periods of time. Here we investigate the most recent advances in battery technologies that have the potential to provide efficient, safe power to power up a number of devices for longer periods. Earth batteries use solid ground as an electrolyte rather than a liquid solution. Two conducting plates are buried in the ground to output an electric current. In this case, the earth acts as an electrolyte, which is the reason they are known as Earth Batteries. Although the concept of earth battery seems novel and modern, the idea of the earth battery was conceived in 1841 by a Scottish inventor and engineer, Alexander Bain. Bain devised a unique battery to power a mechanical clock. The battery uses zinc and copper plates that are buried in the ground about one meter apart. The resulting voltage of about one volt was used to operate the clock. Researchers at MIT have come up with one of the most promising battery technologies that could provide power for longer period of time. 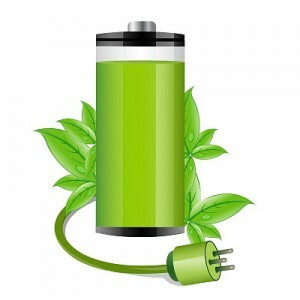 Current batteries cannot provide independent energy for longer period of time. Virus battery is heralded as the latest breakthrough in battery technology that can provide portable power for long durations. Professor Yet-Ming Chiang and Paula Hammond at MIT have engineered viruses that can arrange themselves in crystalline structures and coat themselves in organic materials that enable them to hold three times as much energy as traditional batteries. 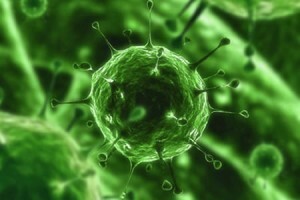 The virus battery can be charged thousands of times and decay harmlessly causing negligible damage to the environment. 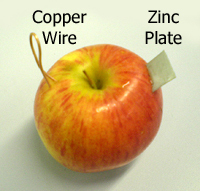 Another latest innovation in batteries are fruit and vegetable batteries that can power a small radio or light bulb. The battery is constructed by inserting two different metallic objects, for instance a galvanized nail or a copper coin to create an electrochemical reaction that generates electricity. By combining a series of fruits and vegetables such as potatoes, apples, and lemons etc. enough electricity can be produced to power a small stereo system. Finally, protein battery is yet another recent breakthrough in battery technology. The idea of protein battery was conceived by researchers at University of Texas who found that a simple protein has the ability to behave like a battery. They claim that protein has the ability to clump together in larger particles that can store, receive and dispense electrical charges. The cells of the protein prevent discharge of electrical charges until it meets the proper receptor. This gives it a great potential to be used as an efficient natural battery that provides safe, green power for a longer duration. The future holds some very interesting battery related advancements. 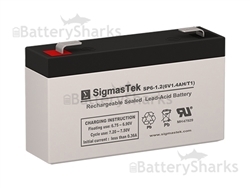 Until the time comes however, you can rely on the good old, trustworthy SLA batteries. 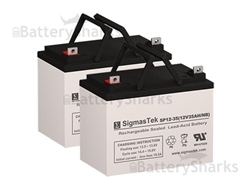 On BatterySharks.com you can find a wide variety of replacement batteries, compatible with the most popular SLA models such as the CSB HR1234W, UB12120 and CP1290 battery.